Today, in the civil case of Barton v. Constellium Rolled Products-Ravenswood, LLC., a published opinion, the Fourth Circuit affirmed the District Court in granting summary judgment for the company. 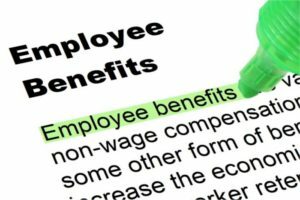 The court stated that the governing collective bargaining agreement did not provide for vested retiree health benefits, and thus the former employer was within their power to unilaterally alter its retiree health benefits program. A class of retirees and their union, The United Steel, Paper and Forestry, Rubber, Manufacturing, Energy, Allied Industry & Service Workers International Union AFL-CIO/CLC (“The Union”), filed this action. The union had represented the retirees since 1988 and had negotiated collective bargain agreements with their previous employer—Constellium Rolled Products-Ravenswood, LLC (“Constellium”). The group insurance benefits shall be set forth in booklets entitled Employees’ Group Insurance Program and Retired Employees’ Group Insurance Program, and such booklets are incorporated herein and made a part of the 2005 Labor Agreement by such reference. It is understood that this agreement with respect to insurance benefits is an agreement on the basis of benefits and that the benefits shall become effective on July 15, 2010, except as otherwise provided in the applicable booklet, and further that such benefits shall remain in effect for the term of this 2010 Labor Agreement. In addition to Article 15 and the various booklets incorporated by reference therein (which operated as summary plan description (“SPD”)), Constellium (or its predecessors) and retirees agreed to further parameters governing retiree health benefits that were contained in “Cap Letters.” The cap letters throughout the years governed how Constellium (or its predecessors) would allocate health care spending of employees based on pre- and post-January 2003 retirees. The third cap letter, which took effect on January 1, 2011, was unique in that it took effect after the concurrently-negotiated collective bargaining agreement did. While the parties were negotiating a new CBA in July 2012, Constellium proposed a change to Article 15 that would extend the cap on its contributions to retiree health benefits to those who retired before January 1, 2003, and freeze its Medicare Part B premium reimbursement amount for all hourly retirees at $99.90. The Union refused to bargain about this issue because it asserted that the retiree health benefits had already vested. Constellium notified the Union that it planned to make those changes on January 1, 2013, and made those changes on that day. After discovery, the parties filed cross-motions for summary judgment. The district court granted the company’s motion and dismissed the case. Did Constellium’s unilateral alteration of those benefits breach its obligations under the CBA? The Supreme Court in M&G Polymers USA, LLC v. Tackett stated that courts must “interpret collective-bargaining agreements, including those establishing ERISA plans, according to ordinary principles of contract law, at least when those principles are not inconsistent with federal labor policy.” Therefore, as this court was interpreting the collective bargaining agreement with the parties, it was bound by ordinary contract principles. Those ordinary contract principles included the rule that states that in order to find that the retiree health benefits vested, there must be unambiguous evidence that indicates that the parties intended that outcome. The Fourth Circuit found that the plain language of the CBA and the SPD indicated that the benefits did not vest. They found that there was explicit durational language in the retiree health benefits SPDs. Bolstering that conclusion was the contrast of the retiree health benefits section with a different section of the SPD that stated unambiguously that the pension plans cannot be reduced and they are paid monthly for the participants. Because the language was unambiguous in another section, it clearly demonstrated that the parties knew how to express their intent that certain benefits should vest. Because there were clear temporal limitations on the employee health benefits, the retirees’ and the Union’s arguments that the benefits had already vested cannot be upheld. Therefore, the grant of summary judgment in favor of Constellium by the district court is affirmed.